Sam's Club closed one of its two stores in Carolina. Sam’s Club closed one of its two stores in Carolina. The management of Sam’s Club confirmed the closing of its store at Los Colobos, in Carolina, effective Wednesday. This was one of two stores the megaretailer had in that town, along with the operation at the Escorial Shopping Center. 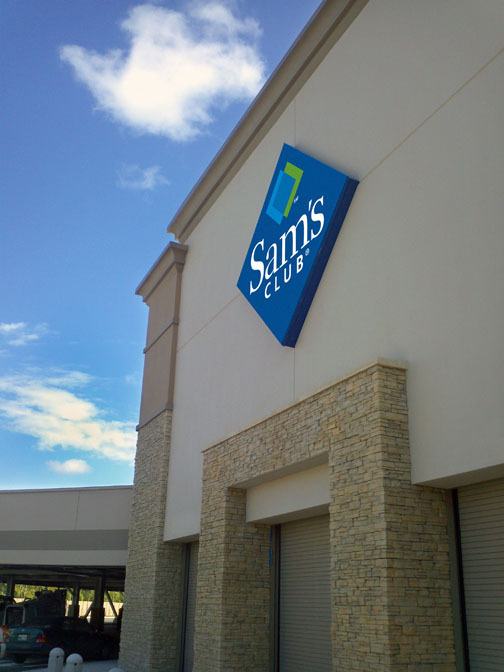 “At Sam’s Club we continually review our portfolio to ensure we are better positioned to meet our long-term strategies. After a careful review of our operations, we have made the decision to close our club located in Los Colobos, Carolina, as of July 19, 2017,” the retailer’s representatives said in a brief statement. According to published reports, 250 employees will be affected. However, Iván Báez, spokesman for Sam’s Club, said they will have the opportunity to apply for other vacant positions within the company. Sam’s Club was established in Puerto Rico in 1993 and operates 10 membership clubs in Bayamón Barceloneta, Carolina, Caguas, Hatillo, Humacao, Mayagüez and San Juan, employing 3,500 people. Sam’s is under Walmart Puerto Rico’s umbrella that also includes Amigo supermarkets, which are reportedly being put up for sale. Hey Buddy!, I found this information for you: "Sam’s Club in Los Colobos abruptly closed Wednesday". Here is the website link: https://newsismybusiness.com/colobos-abruptly-wednesday/. Thank you.